The tee ball landing stretches only 28 yards wide for this 359 yard dogleg right par 4. The ideal drive would definitely favor the left side of the fairway, which slopes left to right. 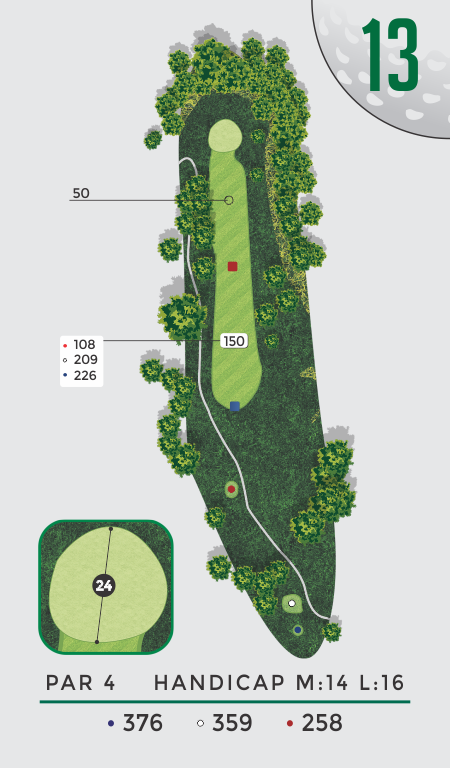 A delicate shot will land on one of the largest and favorite greens on the course.